The husband and wife of Irish descent, currently living in Michigan, were pontificating about how much they loathe Wal-Mart. It seemed an odd topic of conversation, given the setting — aboard a boat during a cruise around Lough Leane in Killarney National Park, with the ship’s captain providing an informative and rather hilarious narration. But I remained polite as my attention drifted to the mysterious gray lake we were gliding across and the low-hanging clouds scraping the tops of impossibly green hills all around us. 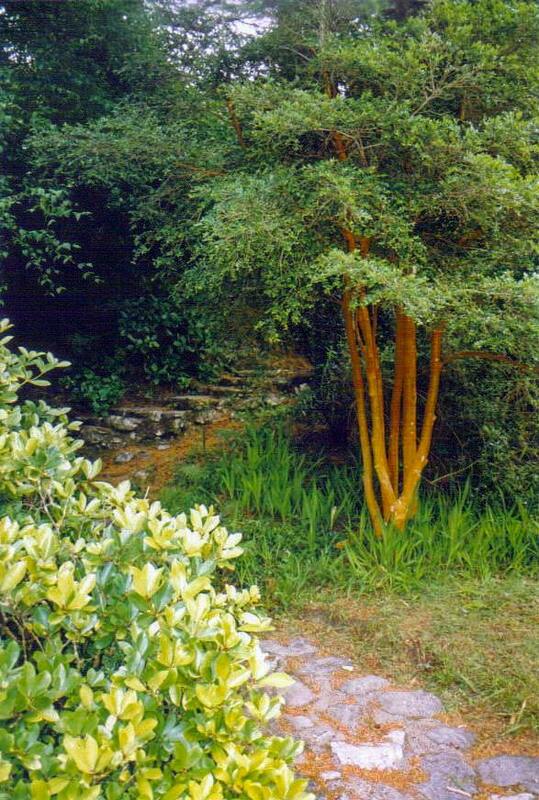 Rare and exotic trees greet you along peaceful hiking trails. I was spending a couple of days in Killarney National Park, the next-door neighbor of the city of the same name largely considered the birthplace of Irish tourism, thanks to its foresight in exploiting its spectacular setting and convenience to so many things we go to the Emerald Isle to see. 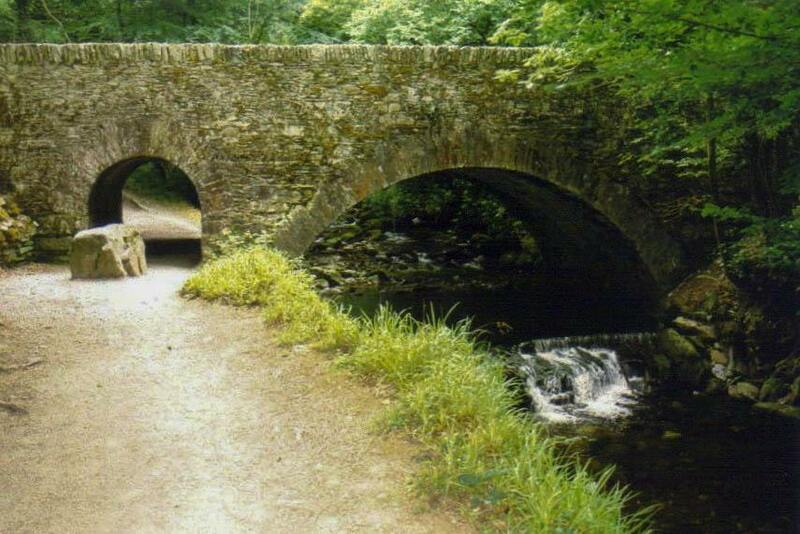 Ireland’s first national park, created in 1932, features everything you would expect to find: mountains, lakes, hiking trails, forests, wildlife. But its 26,000 acres hold a few unexpected surprises, too. I started my first day gazing at one of those unanticipated attractions: the ruins of Ross Castle, a five-story 15th-century keep and tower house with a crenellated parapet built by O’Donoghue Mór. Legend holds that, like a spectral revenant, he rises from his slumber under Lough Leane on May 1 of every seventh year and rides around the lake on a white horse, assuring everyone who seems him of good fortune for the rest of their lives. I missed him by a few days, but I still felt pretty lucky just to be here. The cruise on Lough Leane departed from the foot of the castle. The Michigan couple eventually drifted into conversation with other passengers, and I was able to spend the final 30 minutes of the cruise focusing solely on the islands dotting the park’s largest lake, including Innisfallen Island and its ruins of the millennium-old abbey, and sites where Bronze Age copper miners toiled. After disembarking, I took a two-mile walk through the northern tip of the park, crossing the River Deenagh before emerging from the trees and coming face-to-face with the enormous St. Mary’s Cathedral, an impressive neo-Gothic pile from 1855, right at the edge of town. 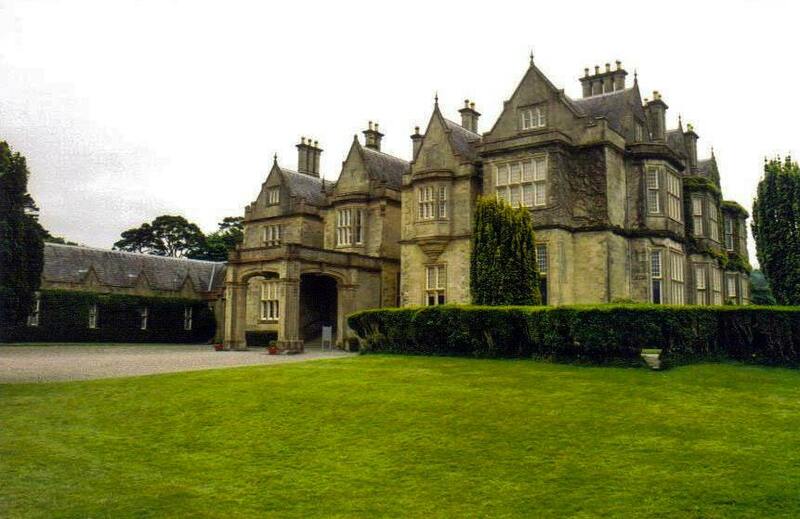 The grand Muckross House: Where Killarney National Park began. I was hoping for some sun during my second day in the park, but Irish weather tends not to cooperate. Fortunately, there’s a tremendous Tudor mansion in the park, where I escaped the drizzle. Built in 1843 for an Anglo-Irish politician and his watercolorist wife, Muckross House contains an extraordinary 65 rooms, including a grand dining room, a three-ton pool table, and a children’s staircase (the steps are lower than normal to accommodate those shorter legs). Major improvements made to accommodate Queen Victoria on her visit here in 1861 practically bankrupted the family, who had to sell off the estate to pay for the renovations. Eventually, it ended up in the hands of a California mining magnate and his family, the same family who also owned the house used in the opening credits of the 1980s powerhouse nighttime soap opera Dynasty. A couple of decades later, the family sold the manor and its grounds (all 11,000 acres of them) to the Irish state, forming the basis of today’s enlarged park. Outside, meticulously maintained gardens surrounding the manor house include the Sunken Garden, Rock Garden, and Stream Garden. Rhododendrons burst into a profusion of pink in the spring, but autumn offers up its own special brand of color. A massive, clear lawn provides a completely unobstructed view of Muckross Lake and the mountains hemming it in. Natural elements and manmade structures blend harmoniously. From here, I chose two trails for some hiking. The trails traverse the wide open valleys around the manor before plunging into the woods. The shorter Old Boathouse Trail, less than a mile long, led me past the 19th-century stone boathouse and plenty of oak and Killarney strawberry trees, while the longer Arthur Young Nature Trail occupied a few hours of my time, with plenty of opportunity to enjoy sweeping views of Muckross and Lough lakes and to walk through the most extensive natural yew woods in Europe. As my trail approached the intersection with a paved auto-free road, I heard the unmistakable sound of a horse clopping along before I spotted it pulling a jaunting car with a couple of couples taking the less ambitious route around the park. The musical lilt of their guide faded away as I reentered the woods, following the trail along a small river flowing around moss-covered rocks and dropping in little waterfalls. Through the arch in the base of a stone bridge, as I made my way up to the 65-foot Torc Waterfall, hidden in the middle of the woods, I stumbled upon my final surprise of the day: a little cottage that housed a gift shop. I was more than taken aback by this anomaly, and it left me a little speechless to find this bit of mercantilism in the midst of such natural, undisturbed resplendence. What’s my advice for this encounter with commercialism? Pop in and purchase the best fruit drops imaginable.